1C Company has finally given word that Quantum Replica will be hitting the shores this year. Together with the release date announcement, 1C also has provided a new trailer that shows a bit of gameplay mechanics and story, as well as a bunch of screenshots. 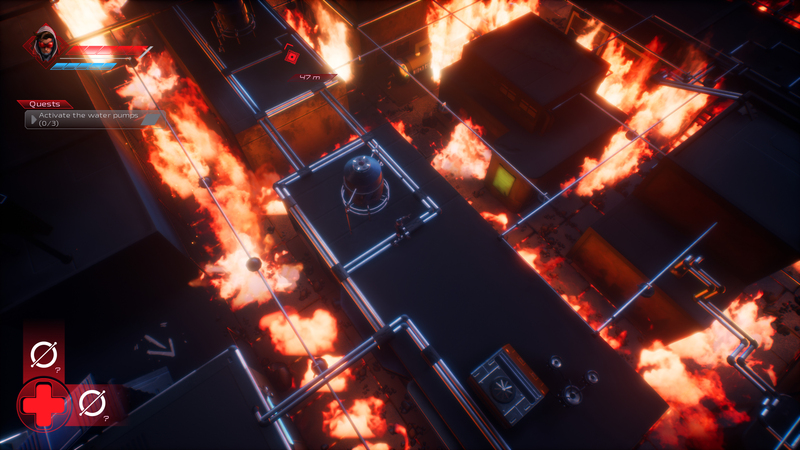 Quantum Replica is set on a dystopian future, where neon lit shadows and a cyberpunk metro. The player is a “most wanted” person in the game, named Alpha. The protagonist has no recollection of his past, and you work your way into filling up the gaps in his memories. A lot of adversaries might hinder your progress, but his time-manipulation ability and TONS of gadgets and weapons make up to balance the scale. It’s 2084, and the world bows to a ruthless corporate alliance known as the Syndicate. Under the flickering neon lights of an endless metropolis, citizens scratch out a living, fearful of mercenary armies and their faceless masters. Here, bitter secrets are buried deep. Secrets that you must uncover. Quantum Replica will be out for the PC on the 31st of May. The PlayStation 4 release will be set on a later date, in the autumn of 2018.